We’re up to volume 9 in this series of world music hits, and most of these records truly were global in their reach. Bob Azzam was a Lebanese band leader particularly popular in France and Egypt, but ‘Mustafa’ even managed to breach the UK charts, almost certainly mostly bought by holidaymakers who first heard it in the south of France. Those were the days when radio producers actually paid attention to public taste and dealt with genuine requests. Wikipedia says that Jonathan Richman and Rachid Taha both recorded Azzam’s songs, but I’m not aware of having heard their versions. There are plenty of Azzam links on YouTube but they all feature stills and record covers. ‘Didi’ by Khaled was a rare case where a move to a major label was an undeniably good idea for a singer who had first broken through on smaller labels. Marc Antoine Moreau was the very young A&R man at Barclay Records deputed to oversee Khaled’s first album in 1992; the keynote tracks were produced by Don Was, the American whose previous coup was to redirect Bonne Raitt to international recognition as a commercial rock singer after years in the shade as a blues singer. Powered by a great rhythm track, the insistent cry of ‘Didi’ not only swept though North Africa and the Middle East, but sold a million copies in India and even put the singer on the map in Colombia and Brazil. By comparison with most of the others songs in this programme, ‘Hatichina Wekutamba Naye’ by the R.U.N.N. 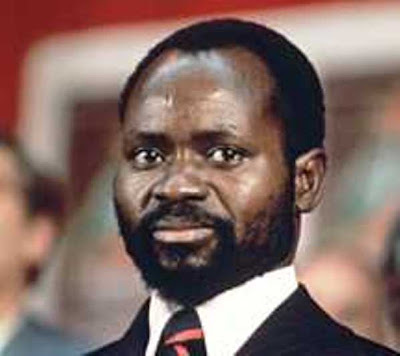 Family was only a parochial success in 1986; a tribute to the recently deceased president of Mozambique, Samora Moisés Machel, the song was acclaimed in Zimbabwe but littler known elsewhere. For me, it was one of the great soul records of the 1980s. after they were signed by the Dutch Philips label in the mid 1950s. One of their fist members was guitarist and songwriter Agustin Barboza, who subsequently became famous in Paraguay as a solo performer. Before Jamaican reggae swept through the Caribbean and the rest of the world, Calypso from Trinidad was the music most strongly associated with the English-speaking islands of the Caribbean and had been widely popular long before The Mighty Sparrow came along with Jean and Dinah in 1956. For the next ten years, Sparrow (real name, Slinger Franciso, actually from Grenada) ruled the roost, regularly winning Trinidad’s annual competition for best song, and attracting the island’s leading songwriters to give him their best works (sometimes buying the entire rights and claiming authorship) many of whichj bravely challenged local politicians with their mischievous lyrics. ‘Jean and Dinah’ was very similar in theme to the hugely successful ‘Rum and Coca Cola’, also being about local women selling themselves to Americans. By the early 1980s, Calypso had transformed itself into Soca music, most of whose songs had replaced serious topics with straightforward celebrations of dance, simply inciting listeners into having a good time. The best in this genre was undoubtedly Arrow, the singer from Montserrat whose guitarist Christopher Columbus contributed unforgettable licks to Arrow’s worldwide anthem ‘Hot Hot Hot’ in 1982.